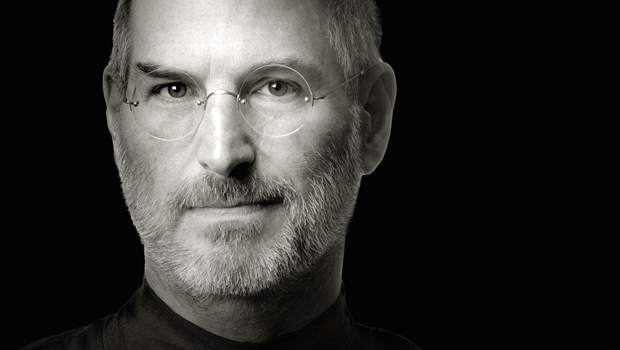 The full 60 Minutes segment on Steve Jobs, featuring official biographer Walter Isaacson, has been posted online by CBS. The segment focuses on Steve Jobs and the biography itself, which is widely available for purchase from Amazon and other booksellers. If you’re interested in learning more about Steve Jobs and what made him tick, and perhaps even get a glimpse into what motivated him and how Apple functioned under his personality and leadership, the book is a worthwhile read. Isaacson conducted more than 40 taped interviews with the Apple co-founder and CEO – all of them done while Apple was on its ascent with one great product after another, but Jobs was on his decline, ill with a form of pancreatic cancer that would end his life at age 56. The 60 Minutes videos are embedded below and require Flash to watch online. If you are having difficulty viewing the videos on this webpage, you can watch them on CBSNews website directly or read the video transcript, linked further below. A transcript is also available to read online if you’re unable to watch the videos. A bit harsh of an interview that breezes through many crucial things. Typical TV show. Interesting the videos are posted in a flash format, when it is an osx site, and some readers are using iphones to read this… My iphone doesn’t play flash… How about posting it in html5? The videos are hosted by CBS and they’re in Flash, unfortunately we can’t change the format to HTML5. Scathing. Interesting about why he didn’t like buttons though, and kind of freaky! I think it’s called privacy, actually. Even though Steve Jobs was presented as a pushy bully who felt he was above the rules, this genius no doubt made his mark and will inevitably have way more than fifteen minutes in the spotlight…Where ever his aura and spirit landed, I wish him peace. I’ve worked in IT as a networking guy now for over 20 years, and cut my teeth on Windows 1.0 (yes, ONE POINT ZERO). I’ve been an OS X evangelist since Apple went to Intel processors – so I’m still ‘new’ to OS X.
I’ve worked with both OSes now for plenty of years. I can assure you that Gates is not and was not the innovator. Gates was simply at the right place at the right time to allow the IBM monster to dominate the business world. MS has mostly been a cannibal since the very beginning. To this very day, the vast majority of the money I make is cleaning up messes due to a well-known crappy OS known as Windows. And that’s Windows 1.0 thru 7. The messes I clean up with OS X? Zero. There’s your business model left by Bill Gates and their team of engineers, not designers.